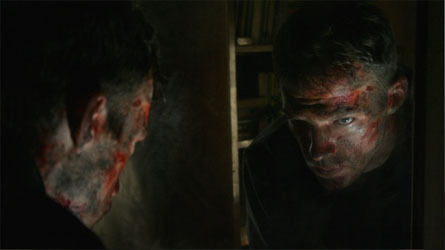 Synopsis: STRIGOI is a Vampire movie that defies categorization. 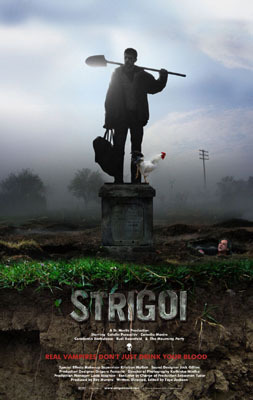 Shedding a fantastic light on a post-communist Romanian village, the film introduces us to an ancient myth: Strigoi, the belief that a person can rise again after death to seek justice if they've been wronged, their appetites intensified by their hunger for blood. 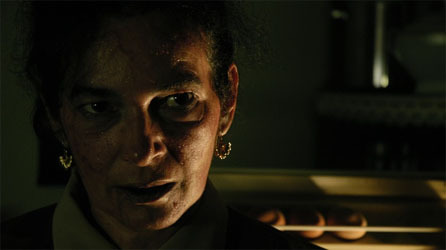 A deeply human take on an old horror story, the film explores the old world versus the new and delves into the heart of modern Romania. In Podoleni Village everyone knows everyone. Mara Tomsa (CAMELIA MAXIM) is the next door neighbour who always has cake. Constantin Tirescu (CONSTANTIN BARBALESCU) is the rich landowner and ex-Communist bully. 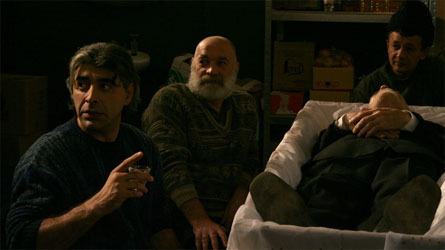 Nicolae Cozma (RUDI ROSENFELD) is a WWII vet who thinks the gypsies stole his cigarettes. Then there is Vlad, (CATALIN PARASCHIV) his twenty something grandson, just back from Italy with his tail between his legs. This may seem like a typical Eastern European village, but when Nicolae's dog goes missing, Vlad's search leads him to a mysterious death that raises questions about land ownership in the community. The trail points to the Tirescus, but when he confronts them Vlad finds that the richest landowners in the village have become real bloodsuckers.